The son of a commercial lithographer, Frederick Horsman Varley was born and raised in the steel town of Sheffield, England. Varley’s talent as an artist was recognized early when, at the age of 11, he was enrolled in the Sheffield School of Art. By the time Varley was 21, he had completed three years of fine arts study at the Académie Royale des Beaux-Arts in Antwerp, Belgium. Before immigrating to Canada in 1912, Varley had worked as a commercial artist in London, England, as well as an art teacher in his home town of Sheffield. Arriving in Canada in 1912, Varley took up residence in Toronto. By the end of 1912 Varley was not only working for the design firm Grip Limited, but his work had also been shown at that year’s Canadian National Exhibition. In 1920, Varley became one of the founding members of the Group of Seven. Yet unlike many from that famous group, Varley was more of a portrait painter than a landscape painter. Despite completing several commissions for the Massey Family, Varley did not achieve great artistic or monetary success as a portraitist. By 1926, Varley had moved to Canada’s west coast and taken a job teaching at the Vancouver School of Decorative and Applied Arts. 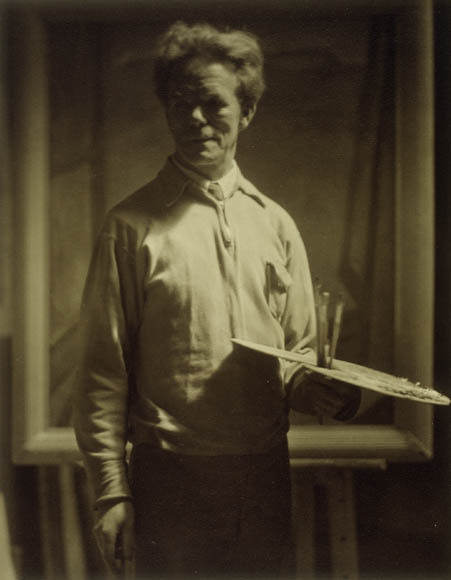 He would soon become Head of the Department of Drawing and Painting, a position he held until 1933. During his time in Vancouver, Varley painted hundreds of oils and watercolours. In 1938 he travelled to the Arctic to sketch on board a government supply ship. In 1954 he visited the Soviet Union with other artists on what was billed as the “first cultural exchange of the Cold War era.” Also in 1954, the Art Gallery of Ontario held a major retrospective of Varley’s work, which later travelled to Montreal, Ottawa and Vancouver. Frederick Varley died in Toronto in 1969. 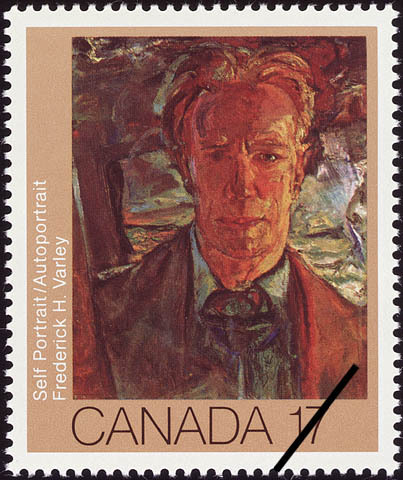 Varley’s legacy was honoured in 1981 and 1994, when Canada Post issued stamps featuring Varley’s self-portrait (designed by Pierre-Yves Pelletier) and a detail of Varley’s painting ‘Vera’ (designed by Pierre Fontaine). Library and Archives Canada’s collection of material related to Frederick Horsman Varley can be found in several locations: the Frederick Horsman Varley fonds and the Peter Varley collection, a son’s collection of his father’s letters. There is also a National Film Board movie about Varley. This entry was posted in Art, Military Heritage and tagged artist, Frederick Varley, group of seven by Library and Archives Canada Blog. Bookmark the permalink.